The GNG Worship Band provides the music for our Sunday services and other special events. 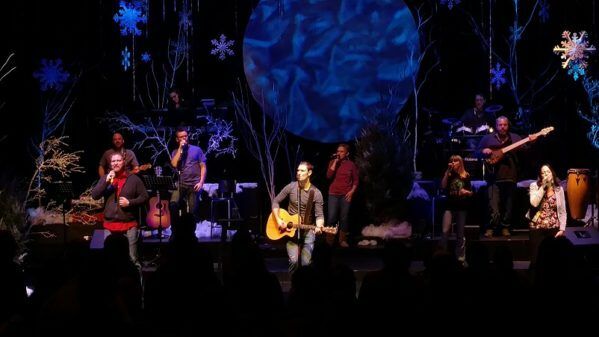 Our worship band is comprised of many different musicians and vocalists from many different backgrounds. The goal for this ministry is simple, use music and to create and environment in which people participate in worship. The Worship Band is constantly striving to try new types of music, new songs, and new approaches to worship, but the goal is always the same: help the people at GNG worship God. The Worship Band is always looking for talented vocalists and instrument players. If you sing, or play an instrument, we would love to have you try out. If you can play an instrument, you should try out for the band. Doesn’t matter what that instrument is. Some instruments may be utilized in a service more than others but no matter. If you play a guitar, try out. If you play a violin, try out. Banjo, harmonica, dobro, bring it on. We have opportunities for vocalists to sing lead, harmony, and in our awesome CHOIR. This ministry does require that every member, whether vocalist or instrument player, audition to be on the team. But, the band is a place where people with the requisite talent to sing and play can develop their skills, and use them to help others worship Jesus. If you think you’ve got what it takes, come out and audition. We’d love to worship with you!